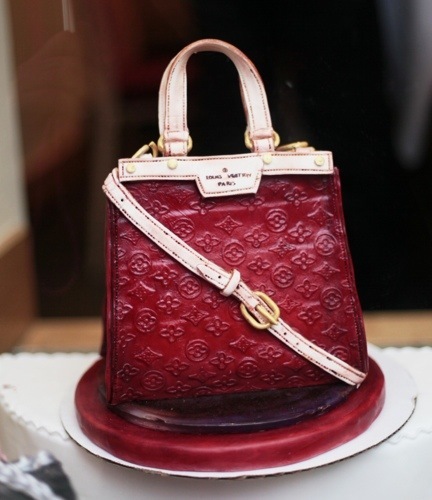 Located at 462 Broadway in Soho, L’Ecole’s window showcases an assortment of delicious and stylish purse cakes. I walked past the window today with a tiny crowd surrounding and admiring what was behind the window. These are pretty amazing and one lady commented that it was a real purse. Umm…. 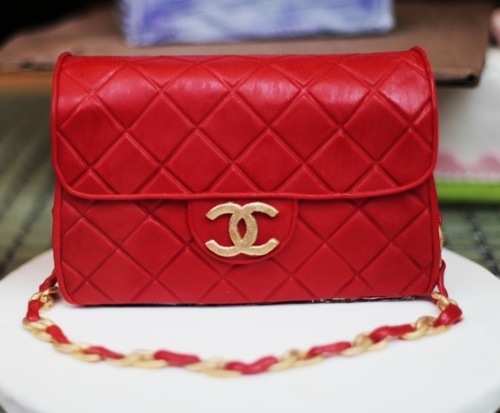 Look how gorgeous that red is in this Chanel purse cake. And another beautiful shade of red in this Louis Vuitton purse. 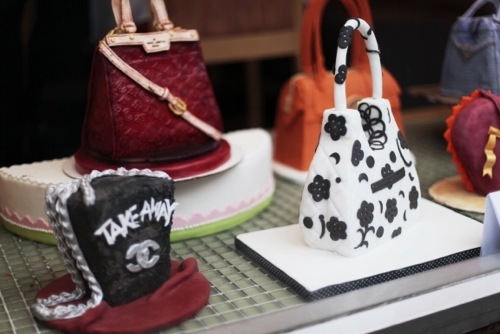 There’s plenty more to see, so stop by and admire these deliciously, beautiful purses…cakes! ← Color Theory: Hello Yellow!